Aging can be challenging, but there are safe, non-surgical ways to soften its effects. Dermal fillers can help smooth out smile lines and crow’s feet and replace volume that has disappeared from the lips and cheeks. Facial contouring also restores fullness to the face that has diminished as a result of aging, sun exposure, or illness. Dr. Kajal Roy, MD, of Niyan Medspa in Ashburn, Virginia, can work with you to find a way to refine and refresh your face. Call her office or book a consultation online today. Dermal fillers are gel-like substances that are injected beneath the skin to soften lines, wrinkles, and creases, restore volume and add contour to the face. More than a million people have chosen this minimally invasive procedure to enhance their appearance. Dermal fillers can help turn back the clock and restore youthfulness to aging skin, regardless of the cause. Which dermal fillers are used for treatment? Voluma®, and Radiesse® dermal fillers. For example, if you’re interested in smoothing over wrinkles, Bellafill may be a good choice. It stimulates collagen production, which in turn helps eliminate lines on the face. Sculptra, Perlane, and Radiesse are excellent choices for adding volume to the cheeks. Restylane, however, is better for sensitive areas around the eyelids and lips. Talk with Dr. Roy about your concerns. She will help identify the product that can work best to meet your unique needs. Most people notice a difference right away after receiving dermal fillers. Some people may experience mild bruising and swelling, but both should subside in a few days. You’ll be able to resume your daily activities immediately, although Dr. Roy may suggest that you avoid strenuous exercise for a few days following treatment. Most dermal fillers last between six and 18 months. Effects from injections administered to the lips tend to diminish a little faster than those given around the nose. Treatments to the cheeks may last a bit longer. Dr. Roy will help you make the right choices. 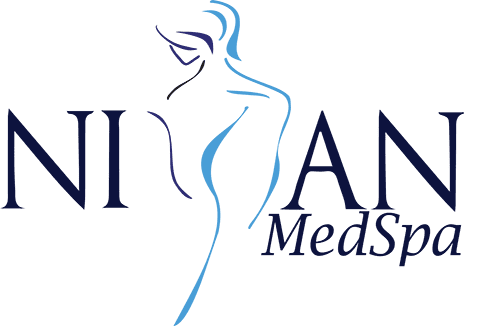 Call Niyan Medspa in Ashburn, Virginia, or schedule an appointment online today. You won’t regret it.